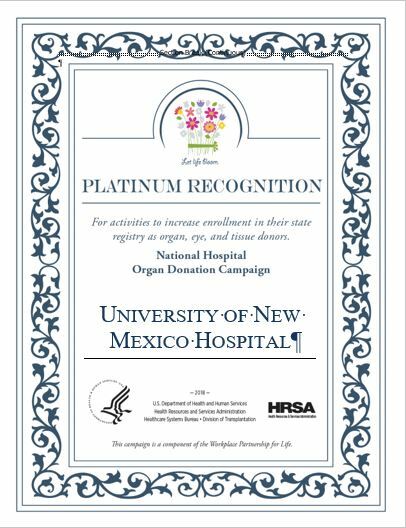 New Mexico Donor Services partners with all hospitals in New Mexico. 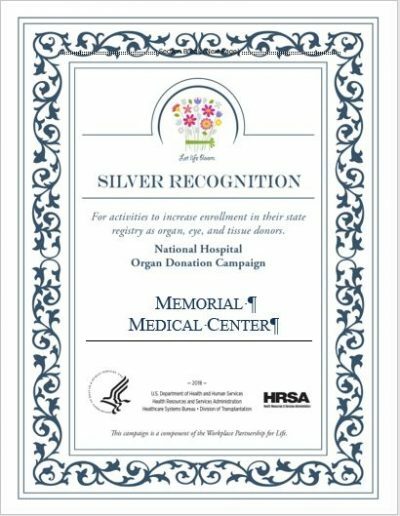 The hospital’s primary goal is to save their patients’ lives. It is only when all lifesaving efforts have been exhausted or death has been declared that the hospital notifies NMDS. 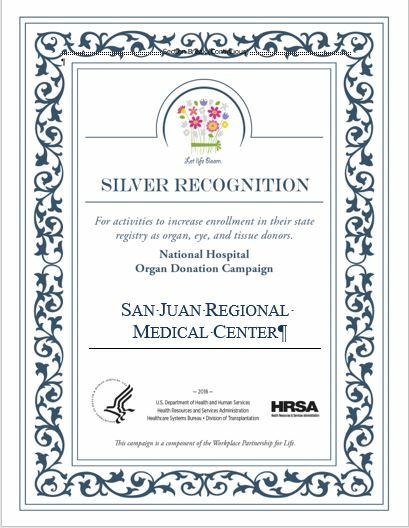 Collaboration with our hospitals ensures continual support of the families who rely on us. 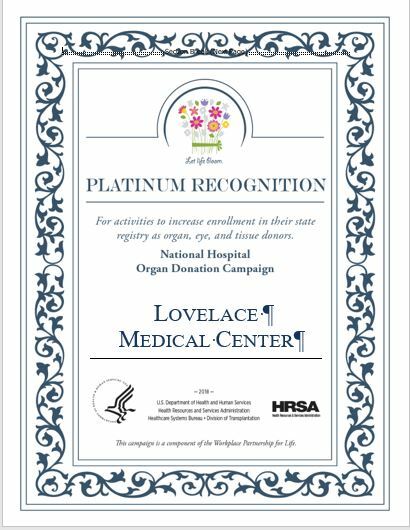 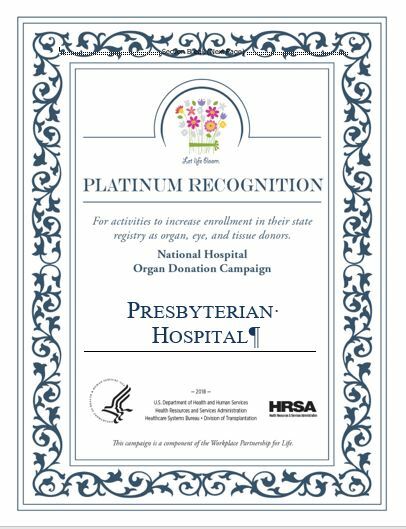 New Mexico hospitals participate in educating their workforce and community about organ, eye and tissue donation through the HRSA Hospital Campaign.